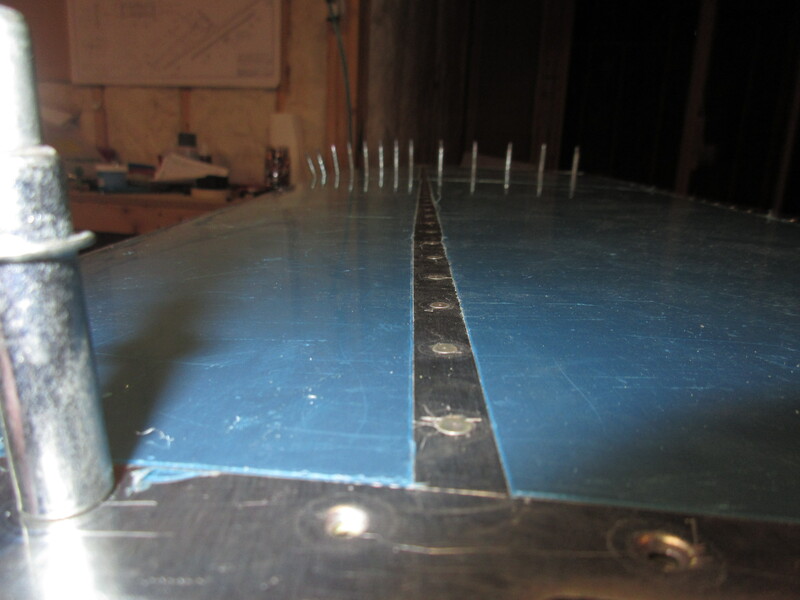 Tonight I spent about 1.5 hours on riveting the right horizontal stabilizer. I am very close to getting these skins riveted on, and almost to the point of attaching the rear spar. 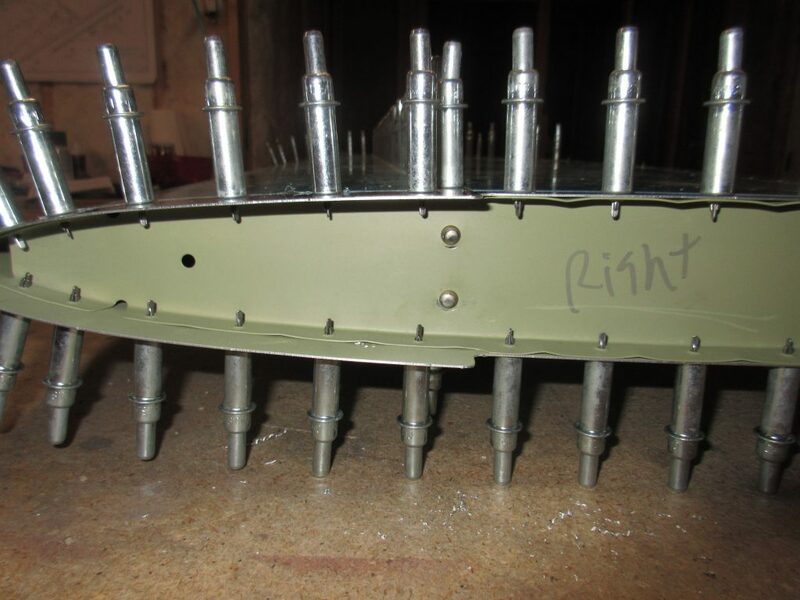 I have decided to wait on attaching the rear spar until I can get an EAA Tech Counselor out to take a look at my work to see if I am on the right track, and that my rivets are looking OK. I started this work session off my attaching HS-708 center rib, to HS-702 front spar and HS-707 nose rib using LP4-3 blind rivets. From doing this on the left side, I knew it was going to be tight, so I took my time and got them set. My hands were almost to large to work the pop rivet gun in that little space! 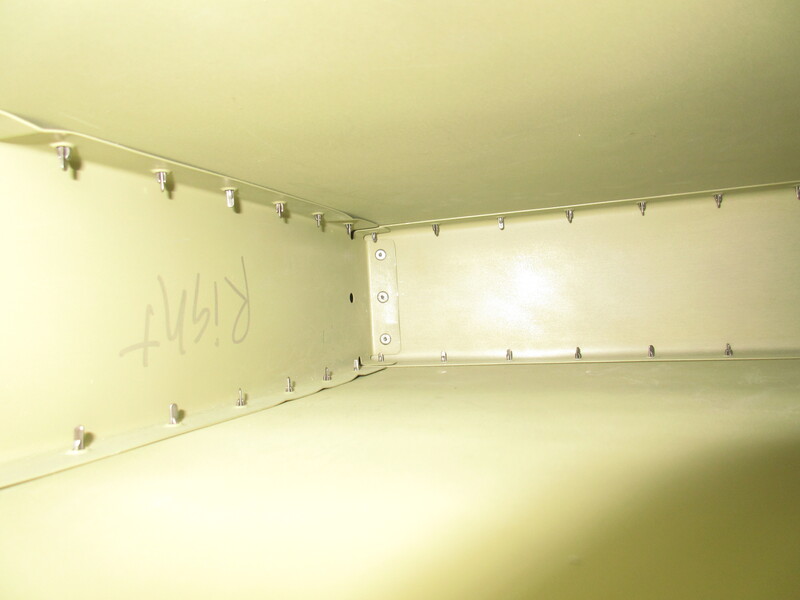 Next up was to rivet in the AN470AD4-4 rivets that attach the HS-706 end rib to the HS-702 front spar. These rivets set OK, but I did let the rivet gun jump a little and scratch my primer. Luckily it didn’t do any damage to the end rib other than cosmetic primer. Tagged Horizontal Stabilizer. Bookmark the permalink.